Yorvit Adolfo Torrealba (yor-VEET tori-AHL-ba)...Graduated from Guarenas High School in Estado Miranda, Venezuela...Signed by the SF Giants at age 16 in 1994...Has appeared in Major Leagues with seven teams (SF, SEA, COL, SD, TEX, TOR, MIL)...Played in two World Series (with Colorado in 2007 and Texas in 2011)...Has appeared in playoffs on four separate occasions (2003, 2009, 2007, 2011)...His 907 games played rank seventh most among active MLB catchers entering 2014...Established career-bests in majority of primary offensive categories during Rockies 2007 campaign. In his first year with Texas, Torrealba started 95 games behind the plate, the most for a Texas catcher since Gerald Laird(114) in 2007 and the 2nd-most of his career (105 with Coloradoin 2007)...set career highs for hits (108), total bases (158), doubles(27), games (tied-113), and at-bats (tied-396)...had the 7th-highestbatting average among Rangers with at least 100 games at .273and was T6th on club in doubles (27). Started 89 games behind the plate for the Padres, whowere 53-36 (.596) in those contests ... were the 2nd most starts ofhis career (105 with Colorado in 2007) ... posted a career high forstolen bases (7) and had his 2nd best season total for games (95),at bats (325), hits (88), and walks (33) while matching his 2nd highesthome run total (7) ... was on restricted list, May 31-June 4 dueto family situation ... was suspended by N.L. for 3 games, June 22-25 after bumping home plate umpire Larry Vanover on June 14. Spent his fourth season with the Rockies...appeared in 64 games, including 61 starts behindthe plate.Hit .488 (21-for-43) with runners in scoring position...Hit at a .318 clip against right-handers and just .220 off lefties...Logged a career-best 16-game hitting streak during which he hit .373 (22-for-59) from 8/9-9/8...longest hitting streakby a catcher in Rockies history and tied for the longest by a Rockies player in 2009 (also Todd Helton). Hit .246 (58-for-236), 17 doubles, 6 HR in 70 games in his 3rd season with the Rockies...began the season as the club's primary catcher before surrendering that job to Chris Iannetta by the end of the year...missed the final 29 games with a meniscus tear in his left knee...hit safely in 44 of his 70 games...started at least 60 games for the 3rd consecutive season...committed just 2 errors and recorded a .996 fielding pct. (461 total chances, 26 assists)...among NL catchers with at least 50 games played, he ranked 5th in fielding pct...threw out 21.1 (12-for-57) percent of attempted base stealers...improved in that situation as the season went on, nabbing 6 of 15 runners (40%) from 6/12-end of the season...made first career Opening Day start at STL after 7 seasons in the Majors; went 1-for-4 and threw out an attempted base stealer (Duncan)...had 3 hits and 4 RBI on 4/10 vs. ATL; hit 3-run HR off LHP Chuck James in Colorado's 6-run third inning...along with Matt Herges and Willy Taveras, he wore #42 on his jersey on 4/15 at SD to honor Jackie Robinson...caught all 22 innings 4/17 vs. SD, easily the most in a single game in his career, nine more than his previous high of 13 innings, done twice...hit 3-run HR and also doubled in 4 at-bats on 4/21 vs. PHI...6 of his first 9 RBI came via home run (pair of 3-run HR's)...caught all 10 inn. On 4/27 at LAD, the 5th time for him to catch more than 9.0 innings in a game in '08...drove in game-winning runs with 2-R double in 6th inning 5/19 vs. SF; marked first RBI since 4/21 vs. PHI (a span of 14 games without an RBI)...hit safely in 6 straight games (5/26-6/3) and 7 of 8 from 5/23-6/3...doubled in 3 straight games 6/1-3...ejected from game 6/4 at LAD by home plate umpire Mike Winters after 8th inn...served 2-game suspension from 6/15-16 for altercation with Matt Kemp...flyball to LF 6/11 vs. SF plated winning run (Atkins) from third base...6/12 vs. SF made his first start since 6/6 and went 3-for-5 (tied season/career high in hits)...hit 3rd home run, solo shot, 6/22 vs. NYM...snapped 8-game hit streak 7/3 (6/12-7/2; .433, 13-for-30), one game shy of career high hit streak...matched career high with 3 hits 7/26 at CIN for 19th time in his career...hit HR in Game 1 of a doubleheader 8/7 vs. WAS; first 5 HR's of '08 hit at home...scratched from lineup prior to the game 8/14 vs. LAD (left knee)...hit HR in his final game of the season, which tied the game at 2-2 with (2-R HR) on 8/25 vs. SF (1st HR on road in '08). Spent the entire season on Colorado's 25-man roster, batting .255 (101-for-396) with eight homeruns, 47 RBI, 22 doubles, and 47 runs scored in 113 games for the Rockies...his 113 games were 37 morethan his previous high for a season (76 in 2005)...had a career-high 105 starts behind the plate...only JoeGirardi (119 in 1995) had more starts than Torrealba in Rockies history...finished with a .991 fielding percentage(7 e/742 tc)...threw out 13 of 74 (17.6%) attempting to steal and was just 2-for-his-last-32...34 ofhis 47 RBI (72.3%) came at Coors Field...recorded 25 multi-hit games and 10 multi-RBI contests...batted.264 (23-for-87) vs. lefties and .252 (78-for-309) against right-handers...hit .391 (25-for-64) with three homeruns and 10 RBI in July, the seventh-highest average among all big league players in the month...hit .330 (30-for-91) with none on/out...six of his eight home runs were solo shots...hit .417 (7-for-17) in four games vs. the Metsand went 5-for-11 (.455) in three games at Boston from June 12-14...batted just .210 (26-for-124) over the seasonsfirst two+ months...hit three-run double in eighth inning on April 17 vs. San Francisco, driving in winning runsin Colorado's 5-3 victory...hit his third career grand slam on May 29 vs. St. Louis, snapping 1-1 tie in the fourthinning...was the first grand slam hit by a Rockie in 2007...Torrealba matched Charles Johnson for the mostgrand slams by a Rox backstop in franchise history...hit safely in 16 of 17 games from July 3-Aug 1, batting.400 (26-for-65) during that span to rise season average from .237 to .281...drove in game-winning runon July 6 vs. Philadelphia with a walk-off single in 11th inning...caught two runners stealing on Aug. 17 at LosAngeles, just the second time to catch multiple runners in the same game (also April 18 vs. LA)...hit his seventhhome run of season on Sept. 19 vs. Los Angeles, matching his career high (also 7 in '06)...batted .231 (9-for-39) over his last 10 games to drop from .261 to .255. His season hindered by right shoulder troubles, Torrealba hit .247 with seven homers, 43 RBI, and16 doubles in 65 games for Colorado, spending just over three months with the club...a perennial backupin his years with the Giants, he established career highs in hits (55), doubles, home runs, and slugging pct. (.439) despite playing roughly half of a season...26 of his 55 hits (47.3%) went for extra bases...rankedamong team leaders in home runs (T5th) and RBI (6th)...Torrealba had the most RBI of any N.L. player toappear in less than 90 games...in fact, the only major league player to appear in less than 85 games withmore RBI than Torrealba was Cleveland's Ryan Garko, who had 45 RBI in 50 games...Torrealba averagedan RBI every 5.2 at-bats, a ratio that ranked behind only Garrett Atkins (5.0) among Rockies with 200+ atbats...had 42 of his 43 RBI as a catcher, the sixth-highest single season total by a Rox catcher in franchisehistory despite the limited number of games...began the year on the disabled list with a right shoulderstrain, an injury he sustained early in spring training...was placed on the DL April 2, retroactive to March24...continued to work out at the club's facilities in Tucson, Arizona, and had a rehab assignment withTriple-A Colorado Springs...hit .309 (21-for-68) with runners in scoring position and .385 (5-for-13) with thebases loaded...went 1-for-3 as a pinch-hitter...reinstated from disabled list on June 2 and made Rox debutthat night vs. Florida, going 0-for-4...would hit just .185 (10-for-54) over his first 16 games in June, but,beginning July 1, would bat .266 (45-for-169) the rest of the way...hit a grand slam for his first home run asa Rockie June 7 vs. Pittsburgh...he became just the second catcher to hit a grand slam for Colorado, joiningCharles Johnson, who hit a pair...Jeff Reed also hit a slam with the Rox, but his came as a pinch-hitter...itwas Torrealba's second career slam and also the second five-RBI game of his career...joined Jim Tatum as the onlyplayers in franchise history to hit a grand slam as their first home run for the Rockies...hit a homer July 1 at Seattle off Joel Piniero...had four RBI in club's 8-7 loss on July 8 vs. Arizona, game in which teams combinedfor 13 runs in the 9th inning...homered in consecutive games for first time in his career July 26 vs.St. Louis and July 27 vs. San Diego...the second of those homers was a game-tying, two-out, two-run blast inthe 9th inning off Trevor Hoffman...it was just the second homer off Hoffman all season...the homer completedthe Rockies' six-run comeback in eventual 9-8, 10-inning victory, one of the club's best wins of the season...went 2-for-4 with homer, double, three RBI, and two runs scored on Aug. 4 at San Francisco, first game asa visitor against his former team...next night on Aug. 5 at San Francisco, threw out Omar Vizquel trying tosteal second base with no outs in the 11th inning, helping to finish off a 2-1 extra-inning victory for theRox...had career-high nine-game hit streak from Aug. 16-26, hitting doubles in six of those nine contests...hit seventhhome run on Sept. 5 at San Diego, establishing a career high...each of his last five hits for the season wentfor extra bases...left final game Sept. 7 vs. Washington midway through top of the eighth inning with a strainedright shoulder...slipped on the plate while throwing down to second base between innings, then remainedin the game for a couple of innings before his exit...placed on 60-day DL Sept. 10, ending his season. Combined to hit .234 with 12 doubles, three homers, and 15 RBI in 76 games with San Francisco and Seattle...established career highs for games (76) and starts (60)...did not commit an error in 68 games/60 starts behind the plate in 2005, most games and innings of any ML catcher without an error...prior to a July 30 trade in which San Francisco acquired Randy Winn, Torrealba had been with the Giants for his entire career pro career since signing as a non-drafted free agent in September of 1994...caught 15 of 51 (29.4%) runners attempting to steal...hit .226 with a HR and seven RBI in 34 games/24 starts for the Giants prior to the trade...served as backup to Mike Matheny, who won his third consecutive NL Gold Glove in 2005...batted .241 with two HR and eight RBI in 42 games/36 starts with the Mariners...made Seattle debut as pinch-runner on Aug. 3 at Detroit...posted eight multi-hit games for the M's...snapped an 0-for-23 skid on Sept. 11, going 2-for-3 with a double...hit .379 (11-for-29) from Sept. 11-22. Logged third full season as club's reserve backstop, marking 4th year in majors...appeared in 64 games during campaign, batting .227 with career-high six homers and 23 RBI in 172 at-bats...made 45 starts (all at C), with Giants posting 26-19 record...in his 59 games behind plate, helped guide SF hurlers to 4.47 ERA (215er, 433.0ip)...threw out 22.2% of attempted base-stealers (6-of-27)...was charged with pair of passed balls (with 1st career PB coming July 4 vs. Oakland), while finishing with .995 fielding pct. (two errors, 369 total chances)...with bat, slugged his career-high sixth homer Sept. 24 vs. Los Angeles, solo shot in second inning (off Odalis Perez)...hammered 1st career grand slam (off Darren Oliver) and plated winning run with RBI-double May 2 vs. Marlins, finishing afternoon 3-for-5 with career-high five RBI...was late addition to lineup that day, filling in last minute for ailing A.J. Pierzynski (sore right shoulder)...had his best offensive stretch July 16-Sept. 10, batting at .297 clip (19-for-64) with nine runs scored, two HRs and six RBI in 22 games, while hitting safely in 14 of 16 starts during span...played for Occidente in Venezuelan Winter League following season. Continued to emerge as bona fide big league catcher, batting .260 with 10 2Bs, four HRs and 29 RBI over 66 games...exhibited prowess behind plate, as he would have ranked second in NL at cutting down would-be base thieves with enough games to qualify...nailed 38.9% of runners attempting to steal (14-of-36), while MON's Brian Schnieder led league at 46.6 (21-of-45)...made 51 starts behind plate, hitting safely in 35 while going 38-for-182 (.264) with 19 runs, nine 2Bs, two triples, three HRs and 25 RBI...earned starting nod behind plate in eight of SF's final nine games leading into All-Star Break, as Benito Santiago was sidelined for all but one contest over stretch due to left finger ailment...homered May 3 vs. Reds (two-run shot off Paul Wilson), his first clout since July 3, 2002 (at COL) and first career at SBC Park...was placed on Bereavement List June 17-20, having flown to Venezuela to be with his wife, who underwent serious abdominal surgery June 16...was also away from club while on Bereavement List Aug. 27-30 for funeral of his grandmother...was hot down stretch, hitting safely in 18 of his last 25 games with official at-bat, going 23-for-78 (.295) with three HRs and 13 RBI...made post season debut in NLDS vs. Marlins, going 0-for-3 with RBI in two games...was given first playoff start in Game 4 at Florida and responded with sac fly that gave Giants first run of contest. Rookie emerged as solid backup catcher during first full ML campaign, appearing in 53 games (40 starts) while batting .279 with 10 2Bs, two HRs and 14 RBI...young backstop guided SF hurlers to 3.74 ERA (151er, 363.2ip) and gunned down 10-of-38 (26.3%) would-be base stealers...ranked among NL rookie leaders in multi-hit games (11 - 7th), hits (38 -10th), 2Bs (10 - T5th) and walks (14, T - 9th)...hit safely in 25 of his 40 opening assignments, batting at .289 clip (37-for-128) with 17 runs, nine 2Bs, two HRs and 14 RBI...was particularly effective in limited at-bats against left-handed pitching, hitting southpaws to tune of .385 avg. (10-for-26)...also was excellent hitter at home, batting .317 (20-for-63) in 27 contests at Pacific Bell Park...clubbed both HRs on road, including first ML clout June 11 at Toronto as he connected for fifth-inning solo blast off Brandon Lyon...began year just 5-for-33 (.152) in his 1st 15 games, but hit .320 (33-for-103) over his last 38 contests...began run with career-best eight-game hitting streak May 26-June 29, going 12-for-26 (.462)...slugged his 2nd career homer July 3 at Coors Field, three-run blast off Rockies' Jason Jennings en route to 2-for-3 evening...rapped out career-high three hits in 5-4 defeat of Pittsburgh Aug. 11, finishing night 3-for-5 with 2B and run...filled in admirably for suspended Benito Santiago in key late-season series, starting first two contests of three-game sweep at Milwaukee Sept. 20 and 21...went combined 3-for-7 with run, double and RBI while catching SF staff that allowed just two runs on nine hits over 18.0 innings...was on active roster for all three of Giants' post season series, but did not see any playoff action...logged 19 games for Occidente in Venezuelan Winter League, batting .259 (15-for-58). Spent first full season at triple-A level as Fresno's starting catcher before receiving 1st ML call-up Sept. 1...had two hits in four AB's with SF, including 3B and 2 RBI...made ML debut Sept. 5 vs. Arizona, entering as catcher in ninth inning and drilling RBI-triple off Byung-Hyun Kim in lone plate appearance...made first big league start in regular season finale Oct. 7 vs. Los Angeles...responded by driving in winning run with two-out, RBI-single in seventh to snap 1-1 tie...finished contest 1-for-3...hit .274 (108-for-394) with 36 RBI in 115 games for Fresno...established career highs with 22 2Bs and eight HRs...hit .354 (35-for-99) in 26 games for Grizzlies during June, earning Fresno's Player of Month honors...was honored as PCL's Best Defensive Catcher in Baseball America's Tools of the Trade poll...played winter ball for Occidente in Venezuelan Winter League. Logged entire campaign at Double-A Shreveport, marking 1st time since 1997 he has not played for multiple clubs...batting average ranked 10th among all Giants farmhands...hit .286 with four home runs and 32 RBI for Captains...posted career high 21 2Bs...hit .067 (1-for-15) with 2B and three RBI in four games of Texas League playoffs...played for Occidente in Venezuelan Winter League following season. Young catcher made appearances on three different rosters along Giants organizational chain in 1999...overall, hit combined .261 (92-for-353) with eight HR and 43 RBI for Shreveport, Fresno and San Jose...spent majority of campaign with Double-A Shreveport, hitting combined .244 in two different stints with club...opened season with Captains, hitting .274 (40-for-146) in 44 games before being promoted to Triple-A Frenso June 16...promotion coincided with fellow catcher Doug Mirabelli being recalled to Major League roster...in 17 games with Grizzlies, hit .254 (16-for-63) with two HR and 10 RBI...returned to Shreveport July 9 as Mirabelli was optioned back to Fresno...struggled in second stint with Captains, hitting just .178 (13-for-71) in 21 games from July 11-Aug. 16...was transferred to Single-A San Jose Aug. 18, where he stayed for remainder of season...hit .315 (23-for-73) with two HR and 14 RBI in 19 games for Giants...played for Occidente in Venezuelan Winter League. Split his season between three stops in Giants' chain after making 1st appearance in Major League Spring Training as non-roster invitee...logged time at Double-A Shreveport, Single-A San Jose and Triple-A Fresno...struggled at plate for most of campaign (.245, 68-for-277), but showed excellent defensive skills while logging .994 combined fielding pct. (680 total chances, four errors)...got off to slow start at double-A level, going 2-for-29 (.069) with two RBI in 10 contests before being sent to San Jose April 20...got his stroke back together while with Giants, hitting .286 (20-for-70) in 21 games before returning to Shreveport in mid June...had his finest month in August, posting .296 mark (24-for-81) with five 2Bs and four RBI...earned late season promotion to Fresno, where he appeared in four regular season games...posted solid PCL post season numbers, hitting .375 (6-for-16) with 2B and RBI in five contests. Had solid campaign at single-A Bakersfield, posting .274 average with four home runs and 40 RBI in 119 contests...made starts in 108 of teams' 140 games, opening 102 at catcher and six as DH...had season-high 15-game hitting string from April 5-24 (.361, 22-for-61) and hit safely in 22-of-23 contests from April 5-May 5 (.396, 36-for-91). Saw action for three different teams in Giants' minor league system, spending majority of time at rookie-level Bellingham after making brief appearances atSingle-A San Jose and Single-A Burlington...combined totals included .252 average (40-for-159) with one HR and 10 RBI in 51 games...opened year at San Jose, where he played in two games (0-for-5) before being transferred to Burlington April 25...appeared in just one game at Burlington (0-for-4) before being transferred to Bellingham May 10...was sent to extended spring training following May 10 transfer, where he remained prior to Bellingham opening Northwest League season in mid-June. In first pro year, logged full campaign at Bellingham short-season club following stay at extended spring. October 7, 2014 C Yorvit Torrealba assigned to Leones del Caracas. 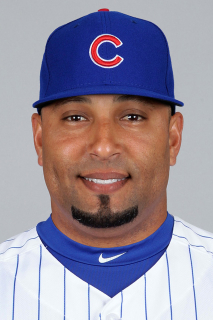 July 17, 2014 Iowa Cubs released C Yorvit Torrealba. July 1, 2014 Iowa Cubs sent C Yorvit Torrealba on a rehab assignment to AZL Cubs. June 27, 2014 C Yorvit Torrealba assigned to Iowa Cubs from AZL Cubs. June 21, 2014 C Yorvit Torrealba assigned to AZL Cubs. June 21, 2014 AZL Cubs activated C Yorvit Torrealba. June 12, 2014 Chicago Cubs signed free agent C Yorvit Torrealba to a minor league contract. March 23, 2014 Los Angeles Angels released C Yorvit Torrealba. January 31, 2014 Los Angeles Angels signed free agent C Yorvit Torrealba to a minor league contract and invited him to spring training. August 27, 2013 Colorado Rockies activated C Yorvit Torrealba from the 7-day disabled list. March 29, 2013 Colorado Rockies selected the contract of C Yorvit Torrealba from Colorado Springs Sky Sox. February 4, 2013 Yorvit Torrealba roster status changed by Colorado Springs Sky Sox. January 24, 2013 Colorado Rockies signed free agent C Yorvit Torrealba to a minor league contract and invited him to spring training. October 17, 2012 C Yorvit Torrealba elected free agency. September 26, 2012 C Yorvit Torrealba assigned to Leones del Caracas. September 22, 2012 C Yorvit Torrealba assigned to Milwaukee Brewers. September 21, 2012 Toronto Blue Jays traded C Yorvit Torrealba to Milwaukee Brewers for cash. August 21, 2012 Toronto Blue Jays selected the contract of Yorvit Torrealba from New Hampshire Fisher Cats. August 15, 2012 Yorvit Torrealba assigned to New Hampshire Fisher Cats. August 14, 2012 Toronto Blue Jays signed free agent C Yorvit Torrealba to a minor league contract. August 8, 2012 Texas Rangers released C Yorvit Torrealba. July 31, 2012 Texas Rangers designated C Yorvit Torrealba for assignment. July 21, 2012 Texas Rangers activated C Yorvit Torrealba from the restricted list. July 20, 2012 Texas Rangers placed C Yorvit Torrealba on the restricted list. December 26, 2011 C Yorvit Torrealba suspended. November 28, 2011 C Yorvit Torrealba assigned to Leones del Caracas. November 29, 2010 Texas Rangers signed free agent Yorvit Torrealba. November 7, 2010 C Yorvit Torrealba elected free agency. October 11, 2010 C Yorvit Torrealba assigned to Bravos de Margarita. June 25, 2010 San Diego Padres activated C Yorvit Torrealba. June 22, 2010 C Yorvit Torrealba suspended. June 4, 2010 San Diego Padres activated C Yorvit Torrealba from the restricted list. May 31, 2010 San Diego Padres placed C Yorvit Torrealba on the restricted list. February 9, 2010 San Diego Padres signed free agent C Yorvit Torrealba. November 6, 2009 C Yorvit Torrealba elected free agency. October 8, 2009 C Yorvit Torrealba assigned to Bravos de Margarita. July 1, 2009 Colorado Rockies activated C Yorvit Torrealba from the restricted list. June 23, 2009 Colorado Rockies sent C Yorvit Torrealba on a rehab assignment to Colorado Springs Sky Sox. June 2, 2009 Colorado Rockies placed C Yorvit Torrealba on the restricted list.